It is probably tautological to say that the life of a writer is punctuated by joys and disappointments. This summer there have been plenty of both – as you will judge from the length of this blog. There have been more rejections by publishers and a project I’ve poured a lot of love and passion into was turned down for a grant after 18 months of slotting the pieces in place to make it happen. The hardest thing is always letting people down, those who have offered space or skills but especially the women who had signed up to participate in the project. It evidently wasn’t the right time for the project but as you probably know I’m too tenacious to give up on something I believe in and I’m sure it will re-emerge in some form or another. Fortunately, the joys are bountiful. Together with Michelle Scally Clarke, Sai Murray, Cherie Taylor Batiste, Ricky Venel Stone, Richard Bostock and Julie Easley I’m working on an exciting literature, spoken word and music show which explores experiences of living with particular skin colours (see below). Publication-wise, I have a poem in Mythologies and one in online art and poetry journal Until The Stars Burn Out, which will be published in late September. I also have had my first (three) poems accepted for The North and two poems, inspired by the volunteering I did with refugees in Calais, in the transcultural journal Moving Worlds. 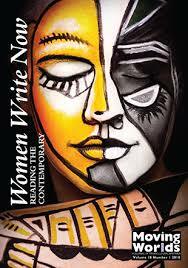 The title of the issue is ‘Women Write Now’ and has been edited by Shirley Chew and Lucy Arnold. The launch will be held at Ilkley Literature Festival where I’ll be involved in a panel discussion with Amina Alyal and Lucy Arnold (see below). The journal is a joint project between Nanyang Technological University and the University of Leeds. When the poems ‘The Game’ and ‘Trench Foot 2017’ were accepted, I’d never have guessed I’d soon be starting a post at Leeds University. More on my Creative Writing Community Development Officer post soon but if you live in Bramley or know anyone who might be interested, I’m running a couple of sessions there on 12th September. We are particularly looking to work with people who haven’t been to university before. Get in touch with Poppy at Lifelong Learning on 0113 3433212 if you want more details. I’m inhaling deep as we step into festival season. These are the main events I’m involved with that are open to the public. It would be lovely to see you at one or more of them. Do say hello. For those of you interested in what the next generation of Yorkshire writers are up to, consider coming to poetry play with song ‘The Abnormal Writers of Christchurch’, written and performed by The Ilkley Young Writers. The show premiered at Words In The City earlier this year and, rightly, there wasn’t an empty seat in the house. It’s great to see the group getting the chance to showcase their skills in writing and performance and to work together on a full show. Annabelle Fuller, one of our Ilkley Young Writers, won second prize in the Lancaster Writing Awards for her poem which she wrote for inclusion in the show. An alumni, Lizzi Hawkins, recently had recognition for her work, when she was selected for The Poetry Business New Poets Prize. Her gorgeous pamphlet ‘Osteology’ is available to buy here. As a workshop leader, there is little so rewarding as hearing about one of the writers you have worked with winning a prize or reading a poem in a book that you recall being penned in one of your workshops. Michelle Scally Clarke and I are very proud. For a taste of young writers’ poetry and fiction, you could also try Word Blend on 6.10.18, 20:15-21:00 in which members of Bradford Young Writers and Ilkley Young Writers take to the stage. People frequently ask when I’m running workshops that are open to the public rather than targeted to specific groups. I’m pleased to say that I have both a workshop and a course to offer. 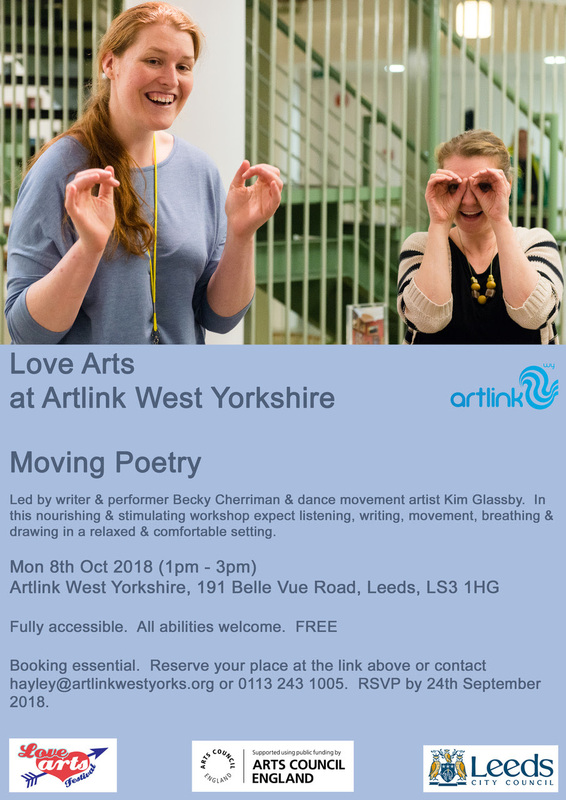 ‘Moving Poetry’ will be led by artists Becky Cherriman and Kim Glassby. Expect listening, writing, movement, breathing and drawing as we explore the connections we make both physically and emotionally. From late September-March, I’ll be running a poetry course for the Ted Hughes Project in Mexborough fortnightly on Tuesday evenings. There will also be a fiction course. Details to follow soon. Bookings are currently being taken for the Ted Hughes Poetry festival which takes place 7th-9th September. This is an exciting and diverse programme of events in and around Mexborough, including readings and performances from acclaimed poets Moor Mother, Mike Garry and Kate Fox. For now though, farewell. 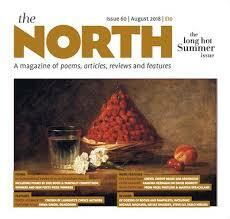 I’m about to go to the Young Writers summer residential with Michelle Scally Clarke. This is put on every year by the Ilkley Literature Festival and is an opportunity for young writers between the ages of 11 and 23 to spend three magical days immersed in writing. A highlight of our working year. I’ve recommended the Love Arts, ‘Moving Poetry event to a poet friend who dances ☺. Having read the poems and short fiction from the young writers who won the Lancaster Writing Awards I’m incredibly impressed – what talent! So glad these opportunities are now available, provided by you, and others, to nurture writers at an early stage which were not there when I was that age (the dim distant past!). That’s great Moira. Yes, I’m also glad that the future generations have chances we didn’t – especially important given that life is even more complex to navigate these days.